The Coromandel Peninsula is a stunning outcropping of land just east of Auckland. The region may be geographically near to New Zealand’s biggest city, but the two places are worlds apart. The Coromandel is a sparsely populated and remarkably beautiful area that features some of the best beaches in the South Pacific as well as some of the most scenic hiking trails in New Zealand. 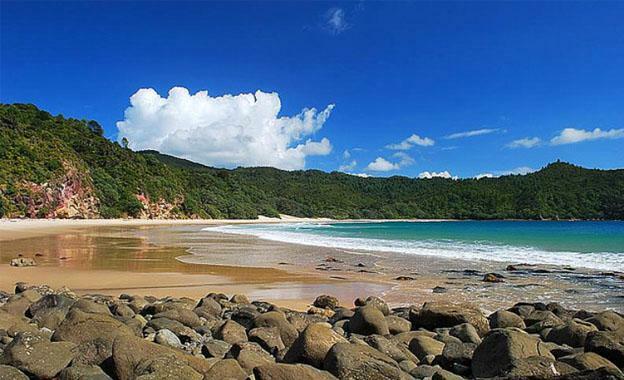 This secluded and pristine beach is often considered one of the finest in the world. Just getting to the beach requires a 30-40 minute walk to access it. Once you get there though, you’ll be treated to a perfect view of soft, white sand nestled between a deep blue see and a thick native forest. One of New Zealand’s most famous attractions is located here on the Coromandel. Hot Water Beach is a sandy stretch of coastline atop a natural hot spring. Come a few hours on either side of low tide and you can dig yourself a hot tub in the sand. You can find out about tide times from your Hot Water Beach accommodation—the front desk will know. Cathedral Cove is a beach located on the east coast of the Coromandel. 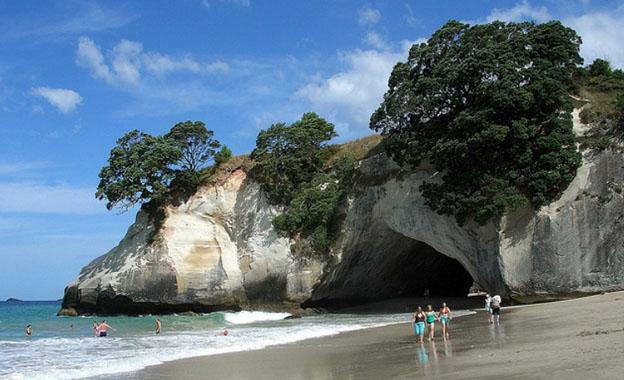 The trademark feature of this beach is the natural rock cave that separates the beach at Cathedral Cove from Mare’s Leg Cove. The cave, a gaping hole in solid rock, makes for some great photo ops. No wonder it’s been featured in film… If you’ve seen The Chronicles of Narnia: Prince Caspian, you’ll recognize the landscape. New Zealand’s Department of Conservation operates a number of tracks and huts throughout New Zealand, making the beautiful backcountry accessible to kiwis and international tourists alike. 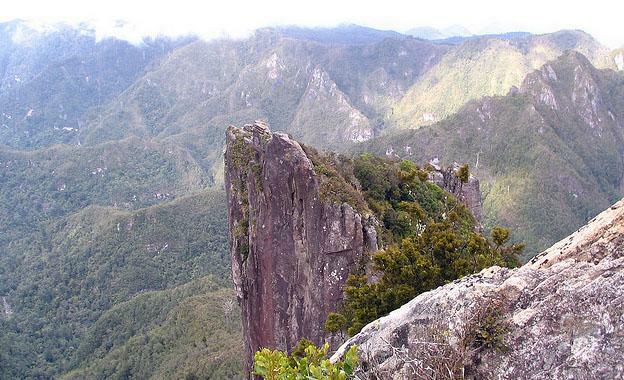 No trip to New Zealand is complete without at least one overnight hike, and the trip up the Pinnacles on the Coromandel is one of the best options around. The two-day walk takes you up and down (there’s a DOC operated hut at the top). Get up early in the morning and get a glimpse of the sun coming up over the Bay of Plenty. Before it became a prime tourist destination, the Coromandel was a gold mining region. In 1875, fortune-seekers flocked to the area, and the gorge is complete with tunnels and old railroad tracks that reflect this heritage. 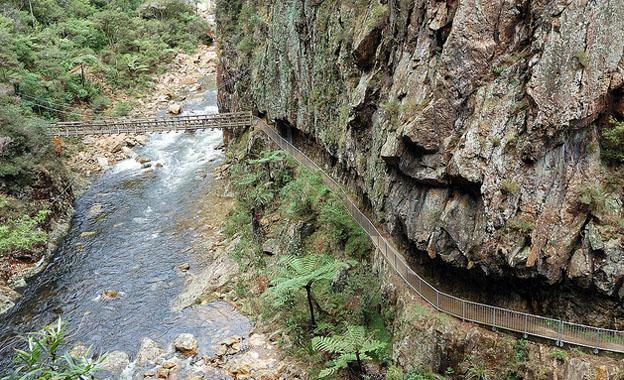 There is a 4.5 km walkway through the gorge that will give you a great impression of what the Coromandel was like in the old days. It’s not a proper road trip if you don’t stop at at least one tacky attraction. 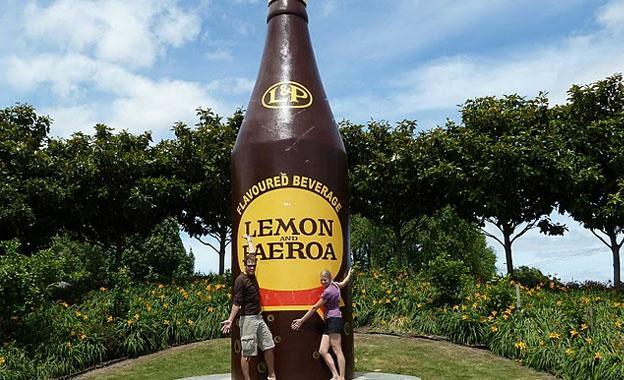 The town of Paeroa is the proud home of New Zealand’s iconic soda: L&P. Be sure to get your photo taken in front of the giant bottle of L&P that graces the town. 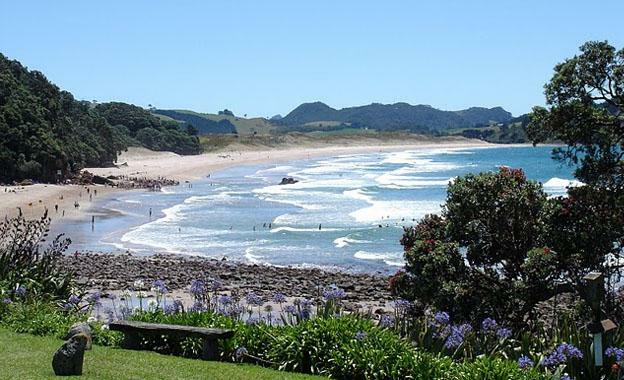 If you are planning on heading up here in the summer, be sure to book your Coromandel accommodation well in advance. The peninsula is known as a great destination for both domestic and international tourists, and it does tend to fill up in the summertime.